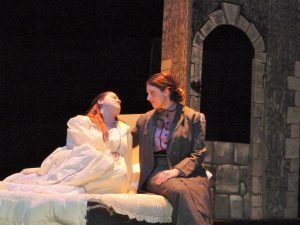 As well as books, I have written plays for a variety of theatre companies, as well as for Off Book Theatre Company and Ramshackle Theatre Company, with whom I have created many projects over the years. 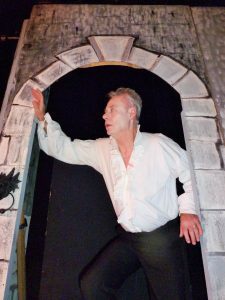 “Dracula” – A fresh adaptation of Bram Stoker’s classic novel, written for Abergavenny Theatre Group and performed at the Borough Theatre, Abergavenny in 2016. This production explores the strong theme of friendship within the book, and gives Van Helsing his own backstory. For a cast of 7 men and 6 women, plus extras. (Script available for performance). The Princess & The Goblin musical showcased at Greenwich Theatre in May 2002. Book and Lyrics Fiona Angwin, Music by Paul Ayres. T.V. script “Madam Phil: PI” a comedy drama series optioned by Noel Gay Television, co-written with Jeff Foster. Mockbeggar Theatre Company – Canterbury Tales – adapted by Fiona Angwin and composed by John Rogers, performed at the Everyman Theatre Liverpool, in 1990. When working with Jeff Foster in Ramshackle Theatre Company, we created a number of shows for primary schools, on a variety of topics. 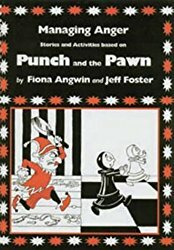 Two of these, Punch and the Pawn, and The Last Unicorn, were then published by Lucky Duck Publishing (now bought out by Sage), as resources packs for schools, with chapters of the story followed by class activities. This pack has been developed from the work of the Ramshackle Theatre Company. 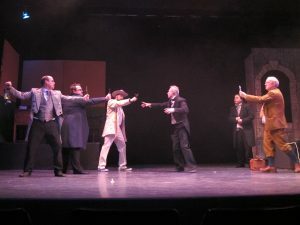 The theme is controlling temper and use is made of the chaotic violence of Punch and Judy compared with the ordered aggression of chess and its representation of warfare. There are six linked stories (presented both in the book and on CD). Pupils will not only be entertained but will be surprised at how Punch and Judy can be so cleverly linked to chess to help them recognise and manage their own anger. There are comprehensive teacher notes for follow up work, and various copiable pupil activity sheets. This course can be used in PSCHE at both Key Stages 2 and 3. The course encourages pupils to take responsibility, feel positive, make choices and decisions about their behaviour, develop relationships and consider moral and social dilemmas through story. Living things, Chronological understanding, Ideas and evidence in science, Thinking about the lives of people in other places and times, and people with different values and customs. 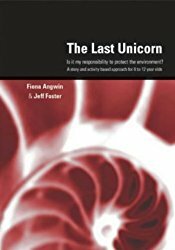 Paperback – 1 Feb 1996 – A One Act Play about two scientists, a computer and plant communication! Trust me, it’s a comedy! Published by New Playwrights Network.